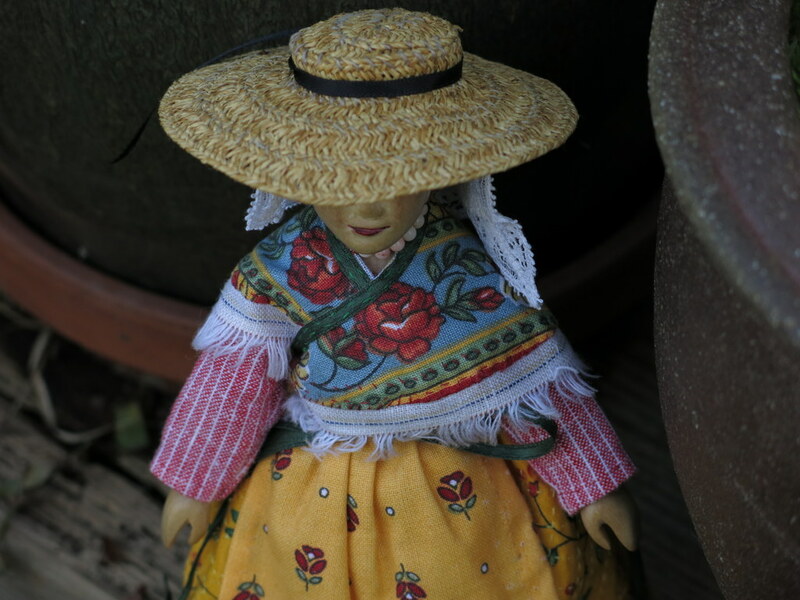 Since I fixed up her quilted skirt, Constance has been requesting that I make her a Provençal hat to complete her outfit. 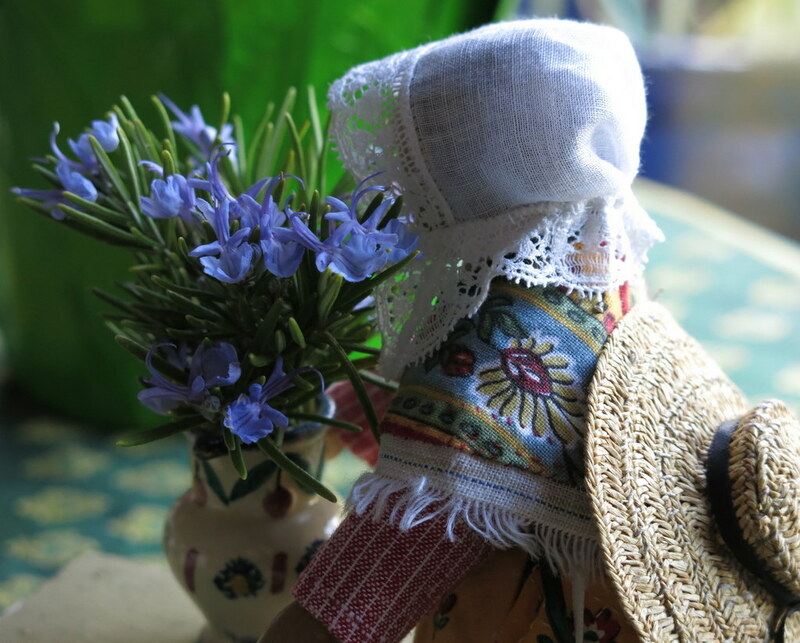 …and brought some Rosemary inside for us all to enjoy! Incredible precision…down to the smallest element…another jaw dropper. For me it is an example of not giving up after the first try – I knew there was something about the outfit that was not quite the way I wanted it. But I kept working, fiddling, and adjusting until it seemed right…I started the outfit in 2010, now I am happy with it! Nice! I could probably make it into one long tube. I bet you could too, but maybe stick to your celebrated “Sowbug Bonnet”, which seems to be quite a popular design. Stunning….Constance and all the QH Hitty household woodens, clothes, etc., are something many of us look to for inspiration. Her hat is wonderful. The hat is exactly the finishing touch I wanted! 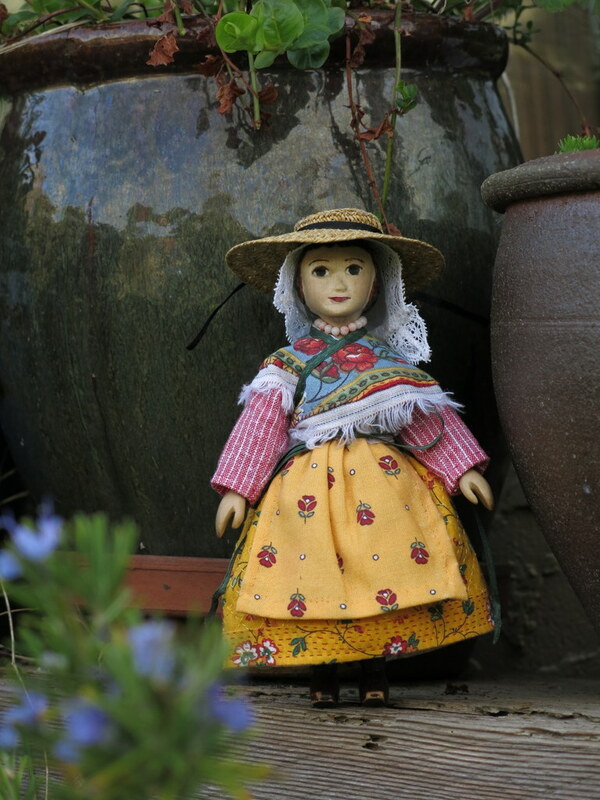 Constance is very happy, and wants to skip out and gather more herbs, preferably on a hillside in Provence! the new bonnet/hat is just perfect. Love the linen cap also. Constance is looking very lovely these days. This is such a beautiful outfit! You find the best fabrics, especially the prints. Thanks very much! I bought these fabrics in Aix-en-Provence several years ago – I was taken with the reds and yellows, but there were lovely blues too, maybe I should dig them out!